At almost 12 months since the Royal Commission was announced by former Prime Minister, Julia Gillard, public hearings will commence tomorrow. The battle will begin. As churches sharpen their financial swords, others sharpen their pens. There will be much comment, especially on the style of the hearings format. Will it be officious? Will it state a point of view in the wake of six months of hearing evidence from the small group of selected victims? Will it explain why it has chosen to begin with the Larkins case (see previous posting)? Expect some crowing from the churches that it is not only them that have problems with covering up child sexual abuse. Expect some damage control statements from the NSW government concerning revelations about the handing of the Larkins case by its Department of Community Services, especially since the Minister is currently under siege for other matters. Will the full complement of six commissioners fill the bench? Will there be one or more selected commissioners? Some insight will be given to how the work is being distributed among the six commissioners. Senior Counsel Assisting, Gail “Snow White” Furness (see previous posting), will have the opportunity to sow whether or not she has learnt her lessons from the Crown Casino enquiry (see previous posting). The principal players, such as the NSW government, Scouts Australia and the churches will reveal the composition of their legal teams. Perhaps the most significant insight into the future development of the Royal Commission will come from how the mainstream media reports on the proceedings. Will they blindly accept the Chief Commissioner’s tendency to merely make statements via press releases, or speeches to favoured charity groups’ fund raisers, or will they expect answers to their questions? There will be a rush to appear on current affairs TV and radio programs from people like Mr. Sullivan from the PR unit set up by the Catholic Church to deal with the fall-out of the Royal Commission (see previous postings). Don’t expect the present head of Scouts Australia, the Governor-General Ms. Quentin Bryce, to make a comment. Expect the NSW government to claim bias against it, and issue statements that problems occurred under a previous administration, and that the present administration does not have such problems any more. Expect that victims of the Indigenous child welfare system and of Scouts Australia will wonder why the testimony they have given in private to the Commissioners, is not mentioned at all. Finally, it is to be hoped that commentary in the public arena includes victims’ support groups with a range of positions, and not just the largest, for example, Bravehearts, or church-sponsored groups. This Royal Commission is the world’s most high-powered enquiry into child sexual abuse in the institutional setting, to date. The world will be watching, if for no other reason than to learn lessons for similar enquiries in other countries. Initially, coverage will be fairly low, until it heats up when the Catholic Church issues become the subject of the public hearings, at some undisclosed future date. 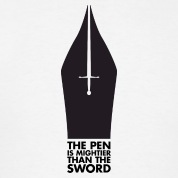 Our pens must be sharp. This entry was posted in Uncategorized and tagged Australian Royal Commission into Institutional Responses to Child Sexual Abuse, Bravehearts, Catholic Church, Catholic PR unit, Francis Sullivan, Gail “Snow White” Furness, Gail Furness, Governor-General, Julia Gillard, Lewin Blazevich, Lewis Blayse, NSW Department of Community Services, NSW government, Peter McClellan, Quentin Bryce, Scouts Australia, Steven Larkins, Truth Justice and Healing Council. Bookmark the permalink.